The moment you enter Spine & Health Centre, you will feel relaxed by our warm friendly environment and enthusiastic staff! After completing your patient questionnaire, the next stop is the consultation room. Your specially trained practitioner will spend some time with you, making sure you understand how and why we do things, and we will want to talk about about your current health issues and what we can do to help you. The examination will consist of several assessments to accurately measure your posture. 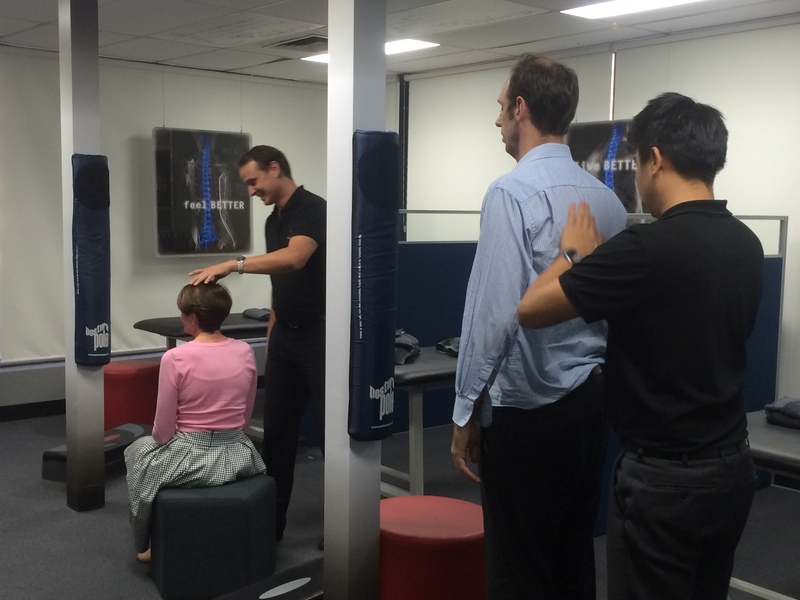 We use state of the art technology to accurately assess your posture and problem areas. The tests are painless and non-invasive. 2. standing full spinal postural x-rays. 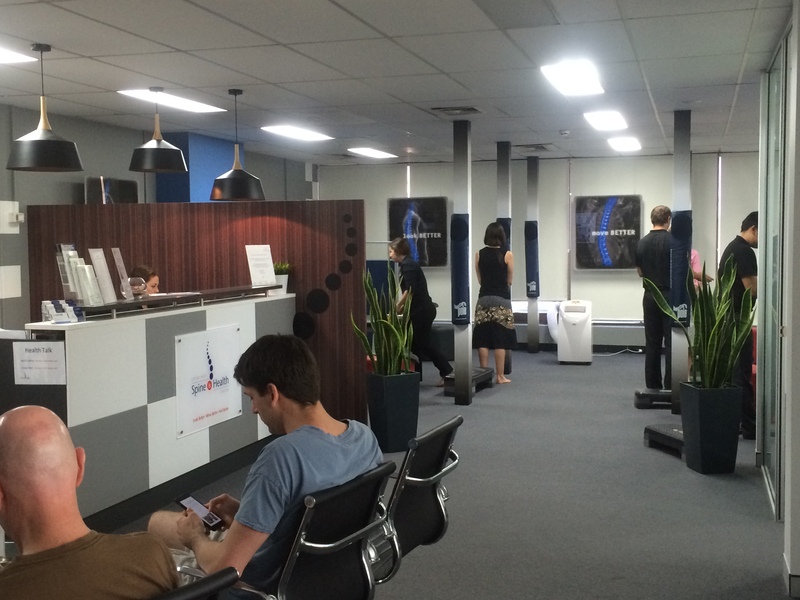 We take standing digital photos and use state of the art software to analyse your posture. Areas of spinal stress, muscle tension, postural changes, and the likely progression of your posture with ageing is determined. Information gained is graphed and stored electronically so we can monitor progress as we bring you to better posture. Full Spinal digital x-rays are taken to determine the condition and position of your spine, stress areas, and the likely progression of your spine with time. If we determine that we can help you we will invite you for a second visit to review the findings of the postural photos, X-ray analysis and other findings with you in detail. Our front office manager will assist you in scheduling a time for your second visit- usually the next day! One of our consultants will greet you and take you to the consultation room. We will provide information that will explain the next steps in your chiropractic care. We will review the findings of your x-rays and posture scans. A treatment program will be explained to you (including costs). Of course, any questions or concerns that you have will be answered. On a typical visit you will sign the client register at the front desk. These visits usually only take 5-10 minutes. Sometimes a therapy will need to be used which may take an additional 10-15 minutes. Periodically we will do a progress check to monitor your response to care and make an individualised care plan. 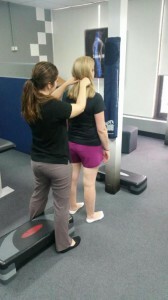 We are different because WE FIX POSTURE!